The Roman guards saluted Pontius Pilate, the Governor of Lower Galilee, as he slowly strolled, head bowed deep in thought, along the broad, tiled corridors of the Governor’s palace, in the castle of Antonia. He was troubled by instructions he had received from Rome demanding he took stronger measures against agitators and dissidents. Pilate was now to meet with his newly appointed Commander, formally Captain Corsini, who had come highly recommended by Lorenzo, now retired these five months, to his comfortable house in Alexandria. Commander Corsini stood up when Pilate entered the palatial Governor’s Hall, a bright airy rectangular room with highly polished ornate white and brown marble floors and pillars, and being open on one side to a panoramic view of the city and countryside beyond. “Thank you, Governor! I understand you wished to brief me on new anti-terrorist procedures,” Corsini replied, with some degree of trepidation. Being a military man he wasn’t used to being directly responsible to a professional politician like Pilate. Pilate, who originally came from the Spanish town of Tarragona, which is just south of the city of Barcelona, and he was considered by the military commanders in the past, as a difficult person to deal with. He had an impulsive manner and tended to make tempestuous decisions for expediency sake, and be irascible with those under his immediate authority. Commander Corsini was instructed to arrest one rebel in particular, who went by the name of Barabbas and who had a large following amongst the young Jewish zealots. “He is a slippery individual and would be difficult to capture,” Pilate advised Corsini. “But I won’t tell you how to do your job. Just bring him back for trial…and we’ll deal with him! We have enough on this rebel to have him crucified ten times over!” The Roman answer to all dissidents, was flogging and crucifixion. Few Jews were found innocent of any criminal act, no matter how trivial. Corsini understood, from this last remark, that the rebel’s trial would be speedy and merciless. He knew Pilate to be a ruthless tyrant, who had ruled Judea for many years, executing anyone deemed to be a rebel, but was obliged to stay on friendly terms with Jewish authority, the high priest Caiaphas in particular. Pilate strode to the balustrade to gaze down upon the city below. There was a momentary silence as he pondered the political implications of his rule back in Rome. “I’d like to squash all those miserable Jews,” he hissed through trembling lips. “And particularly that infernal high priest!” he shouted, as he hurtled his wine goblet into the palm-fringed gardens below. Corsini rose quickly deeming it to be an appropriate time to leave, and as hastily as possible. “I will carry out your orders immediately, Governor,” Corsini said, as he retreated from the room, with the sound of his sandaled feet reverberating through the hallowed halls of the palace. As he returned to his military post, he thought of the many differing worshipping groups in this state of Palestine; each claiming to worship the same God. He knew of the Pharisees, the Sadducees, the Publicans, and those called the Essenes. The Pharisees were deemed the sect of harsh fundamentalism, hypocritical and egotistical. Indeed, he recalled it was they who welcomed Pompey’s Roman army when they first invaded their country, storming Jerusalem and breaking into the Temple: they were being welcomed as deliverers by the Pharisees. The Sadducees were aristocratic as well as being philosophers, while denying the immortality of the soul, and an after-life. Equally, they were more worldly, which was something they had in common with the Pharisees. Indeed, their King, Herod Antipas, son of Herod the Great, was a member of their sect and acknowledged their doctrines. The Publicans were, to some, considered the ‘proper Jews’, in their religious beliefs, while being held in contempt by others. But the Essenes, those belonging to the Essene Brotherhood, were different. Corsini felt he could easily relate to them and their monastic life, and communal living. But he could not understand their teachings on non-marrying and not keeping servants. Equally, he found the trusting of their fate in the hands of their god, and surrendering to its will, was more than his military mind could comprehend. But now he had more pressing responsibilities, of pursuing investigations into those that Pilate referred to - John the Baptist and the one called Yeshu’a. After much planning Corsini decided his best strategy was to investigate the situation for himself, before authorising the spy network to infiltrate the followers. Disguising himself in merchant’s garb, and removing any semblance of military attire, he travelled into the countryside in hope of coming upon the multitude followers of Yeshu’a. His first efforts in making contact resulted in failure. It was the same the following day, but while on his return through the market place, he heard whispers of a meeting place the following day, at a field in a small sheltered valley just off the road to Jericho. So as not to raise suspicions, he chose not to ride there, but walk inconspicuously, to the gathering. Dressed simply he arrived at a grassy swath beside a clear flowing stream, where a small gathering gradually grew into a multitude. Families, old people, indeed people from all walks of life sat as in a miniature coliseum, awaiting their Master’s arrival. The sun was high and hot. Birds flitted between the eucalyptus trees that bordered the rim of the little valley. Some people brought food for their families, and drank the pure waters from the stream; it was a day-out to be enjoyed as well as to listen to moral teachings. Corsini sat with his back against a tree, looking down upon the gathering from the rim of the hill. He was glad of the shade from the sun, but also he wished to keep a distance from the body of the crowd so as to observe well all that may happen. Children played, running to and fro between the family groups, and rolling, as children do, upon the sunburnt grass. A fog drifted slowly through the little valley, turning to a red hue with the light of the sun. A sudden hush from the congregation startled him. It seemed to signal an air of expectancy. Looking around he saw a tall young man, dressed in the white robe of the Essenes, approaching through the fog, accompanied by a group of male disciples and a small band of female followers. He brushed past Corsini with a silence that was almost ethereal. “This is hardly the Baptist,” Corsini thought. “Must be the other fellow,” as he squinted up at the slim figure of Yeshu’a who was silhouetted against the sun. Commander Corsini quietly observed that Yeshu’a had an air of peace about him, as he delivered a discourse on love and forgiveness, in a quiet steady voice. He wondered how anybody could find fault with what he spoke, or with the manner he delivered it. His audience sat transfixed, in silence. Even the children ceased playing and sat quietly alongside their parents as the fog began to clear. Yeshu’a spoke for almost an hour on the subject of ‘love thine enemy’. Corsini thought, “I see no fault here,” -seeing the parables as simple diagrams for correct living. No more nor less than those he lived by himself, and expected his own children to live by. Yeshu’a moved forward towards a family group seated in the front row, the mother of whom had a small child on her lap, with twisted limbs. Corsini saw the tall figure of Yeshu’a lay his hand on the child’s head, with the other hand raised skywards, but was unable to hear distinctly the words that were uttered. Immediately the child jumped from the mother’s lap standing erect upon the now-straightened limbs. The crowd gasped and broke into spontaneous applause. Corsini jumped to his feet, to observe more clearly the drama before him. Looking around him he saw the broad smiles on the faces of the congregation. “What had happened?” he wondered. Had he blinked and missed something? One minute the child had twisted limbs, while in the next moment they were straight as she stood erect and walked a few steps. What man could do such things? Indeed, what god can do such things? Does that god work through this man, and only this man? So many questions, yet no answers. “How am I to report this to Herod? I would be laughed out of court. Best to say nothing!” he concluded. The Commander sat again, and slowly wondered if this young rabbi would heal his servant who had contracted leprosy, and would otherwise have no future but one in a stone quarry where the local lepers lived. This hopeful thought had only just come to him, when Yeshu’a turned and walked slowly back up the slope to where Corsini sat. Standing an arm’s length from Corsini, Yeshu’a stared into his eyes, as if daring him to ask his question. Corsini felt uneasy as he looked into the intense light blue eyes, so full of love. “Would you heal my servant, rabbi?” Corsini found himself asking, and quickly looked away as if ashamed of what he had asked. Puzzled by the response, Corsini looked up seeking clarification, only to find Yeshu’a proceeding with his companions to the nearby cluster of trees where they sat in their shade and discussed amongst themselves the miracle that they had just witnessed. Yeshu’a told them that they too would perform equally marvellous miracles, in the days to come. The following morning found Corsini seated sipping the red wine placed before him, as Pilate stood and perused the report that lay on the marble table, while holding a goblet of red wine in his left hand. 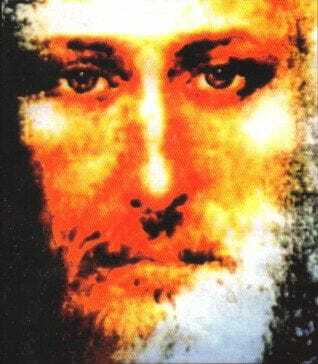 The report stated that Yeshu’a was in his late twenties, fair hair, and beard that gave him a genteel appearance. It further noted that, unlike most Jews, he was of a fair complexion, quite different from those with black beards who were gathered listening to him. The day was hot, but the wine was remarkably cool. Corsini pondered on this and assumed Pilate stored his wine in deep underground cellars, similar to his storehouse back in Italy. Ducts leading from underground streams were often used to keep the temperature constant. “With respect, Governor, I am a soldier not a spy! I reported as to what I saw and what had occurred. I can do no more than that,” Corsini said with obvious annoyance at being treated like a servant. Cooling his temper, Pilate realised he had no reason to criticise Corsini for the report he gave. It was the heat, combined with his irritation with Caiaphas, which made him loose his temper. The Roman Authority had a long-standing treaty agreement with the Jewish leaders; to carry out the trials and executions of Jewish criminals on behalf of the Jews, as the latter were not allowed, by their own laws, to perform any act of killing except in the form of sacrificial animal offerings to their God. The Jewish Authority consisted of Jewish leaders, mainly rabbis and wealthy merchants, being representative of the ‘establishment’ but not of the population as a whole. Let it be known that neither Yeshu’a nor John had any fear of their own people, being Jews themselves. Since it was mostly those who were “down the social scale” who were their devoted followers, while others chose not to heed such teachings. John did baptise in the wilderness and preached to the poor of spirit, as well as to those who had little in the way of worldly goods. He was an enlightened person who was brought up by the Essene Brotherhood. He was fearless. He would publicly rebuke and criticise the Sadducees and the Pharisees, who came for baptism to him at Salem, on the banks of the Jordan. He prepared for his mission from the early age of sixteen year, and had joined another holy man in the wilderness, called Banus, also a member of the Holy Order of Esseens. But his words were equally heard by young Zealots; desirous of political change. Because of this he was subjected to constant scrutiny by both Jewish and Roman authorities. Indeed, at times there were as many spies in his congregation as there were sincere followers! Now it was no longer safe for him to preach of justice in a land ruled by Roman terror. Yeshu’a and his disciples journeyed into the city of Jerusalem, to visit the great Temple and other holy shrines. It was here that he hoped to preach to the ever-increasing number of people, but events soon changed all that. The sounds coming from the Temple were more of a market place than that of a temple of worship. He was shocked to discover commercial transactions were taking place on the steps, as well as within the Temple sanctum itself. The holy places were being used as bazaars, where the Grace of God could be bargained for and commercialised, while birds and small animals were on sale for sacrificial offerings, and where foreign coins were being exchanged for the local currency. Yeshu’a condemned those priests who encouraged and tolerated these rude practices, and in doing so brought down upon his head the anger of the overseers of the Temple and shrines. Enraged at the sacrilege taking place before his eyes, Yeshu’a swept up the steps and angrily overturned the changing tables which were piled high with pillars of coins of varying value, scattering all before him as his companions joyfully released the birds and animals from their cages. The Temple was now in turmoil; chaos ensued. Flaying fists with angry shouts and scuffles broke out within the Temple confines and spreading to the steps outside, as frightened pigeons flapped their wings as if applauding the gesture of freedom now being offered to them. The act of turning over of the ‘changing tables’ was to signal the change within the state of Judea: from that moment onwards nothing in this land would ever be the same again! It was not long before this demonstration of ‘righteous anger’ came to the attention of Caiaphas, who now felt even more threatened by the teaching of a ‘new’ law, humility, propounded by these young men. He and others of senior priestly positions began their sinister plot against Yeshu’a, and to have him arrested, and if possible, put on trial before his influence took hold of his growing number of followers. There had even been rumours of healings, and a reported resurrection from the dead! All this was much too dangerous to be ignored, Caiaphas felt. Joseph of Arimathaea became aware, from his connections in the Sanhedrin, of the dastardly plots instigated against both Yeshu’a and John, and sent words of warning to them both. Nicodemus was equally fearful of what might happen to Yeshu’a, for Nicodemus too was an Essene and a secret disciple of Yeshu’a. Early developments in the plot by Pilate had been preceded, for John was soon to be arrested in the countryside surrounding the stronghold Macherous, on the command of King Herod Antipas, and later beheaded for a matter totally unrelated to Pilate’s plans. This dastardly incident struck deep at the hearts of Yeshu’a and all the Brotherhood, for they knew that it was the commencement of an epoch of cosmic dimensions.